-Also see PPA FB ; See also weekofoutrage . Back to NYC Local Actions. (including events we have endorsed and those of our allies). Important news: Ramsey Orta, who heroically filmed the brutal murder of Eric Garner, has continued to be harassed by the cops and has been arrested again. Stay tuned for action updates. in Grand Central but check FB page to confirm. Check their FB page for updates. 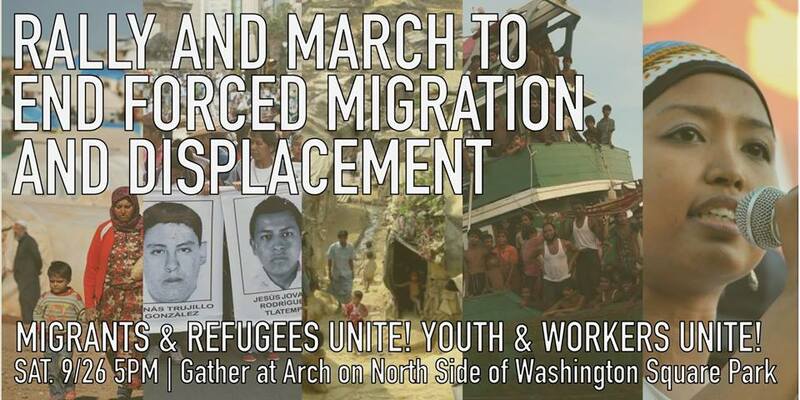 **Sept 26-5pm; Rally and March to End Forced Migration and Displacement; Washington Square Park. FB Event. Special forum with three women warriors who through their recent transgressions have inspired us with their revolutionary defiance of the racist status quo. Against Racism, Gentrification & Police Brutality #TakeBackOurCommunities. 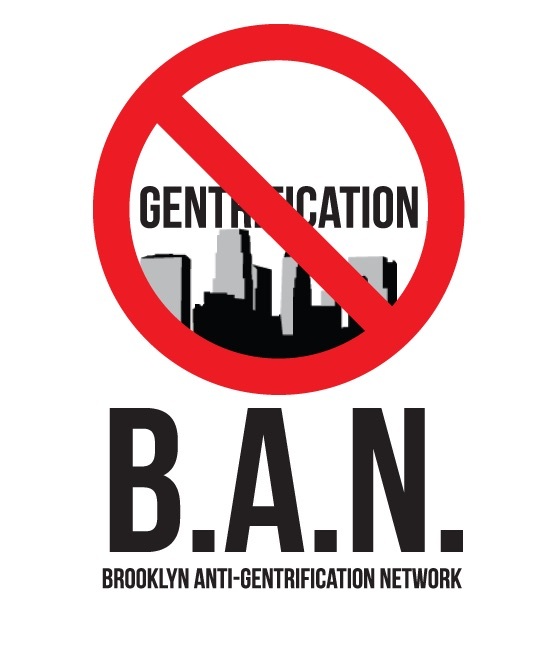 FB Event / ban gentrification.org / FB . -Sept. 20: African American Day Parade : The PPA will have a contingent in the parade on Sunday September 20th. It begins at 1pm in Harlem at 111th St. & Adam Clayton Powell Blvd. Contributions for shirts are still welcome. -Aug. 21: Justice for Kyam Livingston! Rally on the 21st of every month at E18th & Church Ave. in Brooklyn at 5:30 pm. FB page. –Aug. 22: Unchain Our Schools Potluck . FB page. -Aug. 26: Women’s Equality Day – International Working Women’s Coalition See FB Event. -Sept 17 – Save the datecitywide anti-gentrification event (details forthcoming) Join FB EVENT for updates. 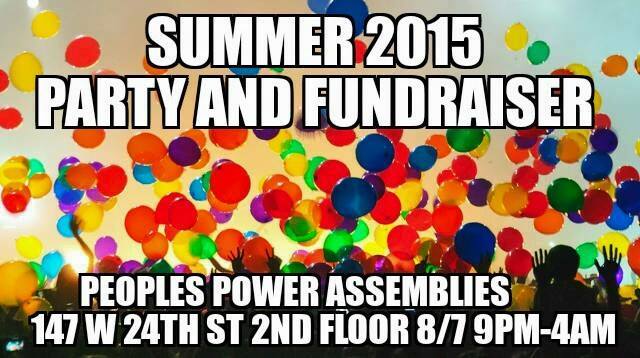 ****SPECIAL SUMMER PARTY & FUNDRAISER: Friday, Aug 7: It’s time to get down! FB Event. **Monday, Aug. 3, 2015: 6pm Flatbush Target: Justice for Alandro Brissett. Community Speakout & press conference. FB Event. ***FLASH: Wed, July 22, 2015: Justice for Sandra Bland & Kindra Chapman: 5pm Union Square. FB Event. and Brown independence!. From noon – 2 pm we will have a potluck & activities, at 2 pm speakouts will begin. More info on Facebook event . Please invite your friends and allies!! -July 6: #PeoplesMonday in BROOKLYN. Demand JUSTICE for Tony Terrell Robinson! 7 pm at Flatbush & Church Aves. FB event. 1157 Lexington Ave. FB event. –July 21: Justice for Kyam Livingston! Rally on the 21st of every month at E18th & Church Ave, in Brooklyn at 5:30 pm. FB page. –Wed, July 22, 2015: Justice for Sandra Bland & Kindra Chapman: 5pm Union Square. FB Event. 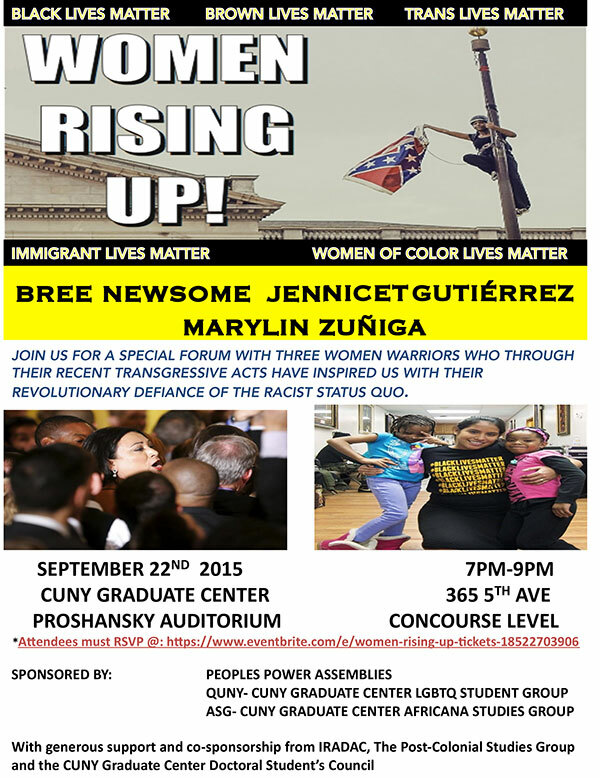 –July 25: People’s Organization for ProgressNOON Newark, NJ. at intersection of West Market St. and Springfield Ave., Million People’s March against Police Brutality, Racism Injustice, & Economic Inequality.FB Event. 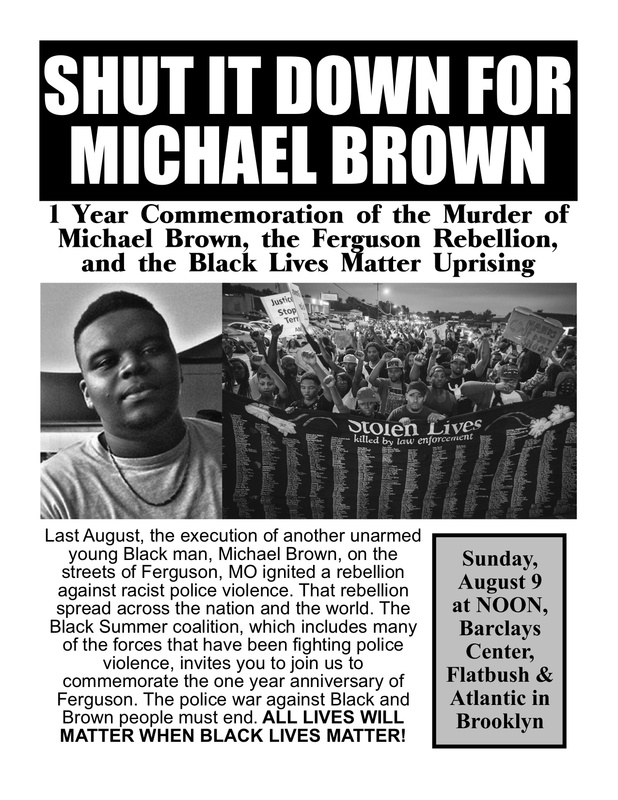 -Aug. 9: One year anniversary of murder of Mike Brown. Meet at noon at Barclays center. Join FB event for updates. -Fri – Sun, June 26-28: Fri: PPA Endorsed Trans* Day of Action, 4:30pm, Pier 45/Christopher St Pier, with Pride banner making Sat noon at Solidarity Center & Pride march Sunday (meet at 11:30am on 41st street). 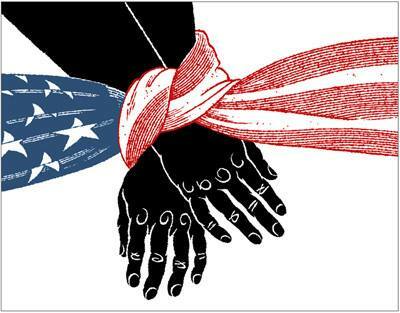 -Sun, June 21, 2015: 6pm there will an action in Solidarity with Charleston in Washington Square Park. It’s being organized by some of our comrades in NYC Shut it Down. The action will move to the Barclays center at 8pm, where there will be a vigil. FB Event (link not working?). –Monday June 22, 2015: the Laundry Workers Center is hoping to have one of it’s biggest pickets yet at Liberato in support of workers fighting wage theft and sexual harassment. Action starts at 4pm at 183rd and Jerome, right under the 4 train. At 5pm the crowd will march down Jerome Ave to the Liberato Restaurant on Burnside Ave.
BYOC (Bring your own Chicken! Cuz Liberato’s tastes like wage theft). FB Event. Or PPA LWC-support page. – Monday, 6/22/15: Right after LWC finishes at 6pm, hop on the 4 train down to Grand Central for #PeoplesMonday at 7pm. NYC Shut It Down will be telling the stories of people brutalized by police because of their non-conforming gender identities or sexual orientations. The crows this Monday is looking to be a bit smaller than usual, so some strong PPA support would count for a lot. Action will start in Grand Central and then move to other Manhattan locations. FB Event. Ramsay Orta , the man who filmed Eric Garner’s murder, is facing still more trumped up charges and needs our support. The gun charge didn’t stick, so now they claim he and his family are dealing drugs. The hearing will be at the Staten Island Courthouse, just steps from the ferry terminal. He will also have a court date March 12. The Laundry Workers Center has a court date at the Federal Courthouse in Manhattan at 40 Centre St, in room 443. They need our suuport. The owners of Liberato restaurant, where the LWC has been supporting workers in their campaign to be paid minimum wage, have sued the LWC under the RICO act. Astonishingly, a judge seems to be interested in hearing this frivolous lawsuit. If the judge rules in favor of Liberato, it would create a precedent that could affect labor organizing across the country. If you have been involved in previous actions relating to Liberato, it is important to double check with Rebecca (rebeccavstuart@gmail.com) before attending. She will be able to explain why it is necessary to check with her first. If you have not been to previous actions there is no need to do that- just show up. March 8, 2pm Shut Down Pro Cop Rally. Disarm NYPD and Copwatch are organizing a counter protest at a pro cop rally at City Hall. They are asking representatives from as many groups as possible to attend, and to bring signs. There will be lots of media present, so it’s important to have a big crowd. Place and Time TBD, possibly at the IAC. The Coalition is looking for input from various organizations about how to fold police brutality into the Mayday event. If you are involved in organizing this event please contact James (james@thing.net) ASAP. He is trying to organize a Free University for the event and needs to get some info within the next week in order to put it together. March 12, 9am Court Support for Ramsey Orta. Ramsey Orta has another court date this coming Thursday at the Staten Island Courthouse. This action was called by Stop Mass Incarceration and many of the details are still up in the air. Nevertheless, the PPA consented to support the action and plans to assemble along with Occu-Evolve at Union Square at noon. A large action for the $15/hour campaign will be held this day. Details are up in the air but the PPA did consent to support the action. ***12 Noon @ 125th Street & Adam Clayton Powell Blvd. the police precinct where Malcolmorganized a protest against police brutality in 1957. 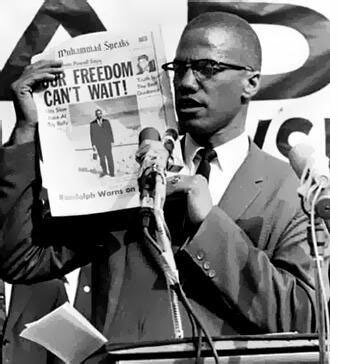 -Monday February 9, 5:30pm A protest and press conference will he held in front of the Thurgood Marshall United States Courthouse (40 Foley Square) to commemorate the 6th month anniversary of Michael Brown’s murder. This event will also be used to formally announce the first session People’s Tribunal on Police Violence, which will be held April 2. FB Event. -Monday February 9, 7pm-10#voicesoftheunheard action at Grand Central organized by by the Grand Central crew. FB Event. -Every Monday, 4-6pm Laundry Workers Center action at Kenny Bakery, 126 Dyckman St, Manhattan against wage theft and physical and verbal abuse of employees. These actions have been effective and the owner has expressed interest in settling the case, but the LWC needs more people at this action in solidarity to keep the pressure on. If you show up and no one is there, look in the Dunkin’ Donuts two doors down.-Every Tuesday, 4-6pm Laundry Workers Center action at Liberato Restaraunt at 138th Street and Jerome in the Bronx against wage theft and physical and verbal abuse of employees. Community outrage is building, but the actions could use more support. -Every Tuesday and Thursday, 6:30 Erica Garner leads brief marches twice a week from the Staten Island Ferry Terminal to the nearby police precinct and Eric Garner’s memorial. Meet by the taxi stand. -Friday February 13 7pm Benefit for the family of Akai Gurley at 89 Crystal St, Brooklyn. $10 minimum donation. Food and music. -Friday February 13 to Sunday February 15 Occu-Evolve is organizing a series of actions around the NBA All-Start game. Sumumba will provide more details at the next PPA meeting. If you are interested in helping plan this event, come to 60 Wall Street today (Feb 6) at 6pm. These actions will be discussed later in the meeting, so please come even if you cannot be there at 6. This event is organized by Find Your Spine, the group that put together the 4 mile march in NYC on MLK day. Feb 22 is the 3 month anniversary of Tamir Rice’s murder. FB Event. -April 2 Opening session of the Tribunal will take the place. Read the call.